After three years of caregiving for my best friend through her cancer, I am finally getting back to work at what I love to do the most. 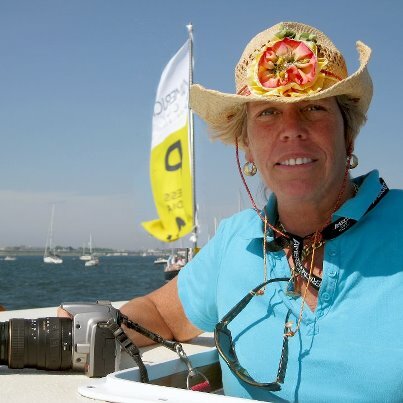 This pic was taken at the Americas Cup World Series in Newport in June. Nice way to start again! I am only now learning to blog, so if you have any insights for a beginner, I would love to hear them.